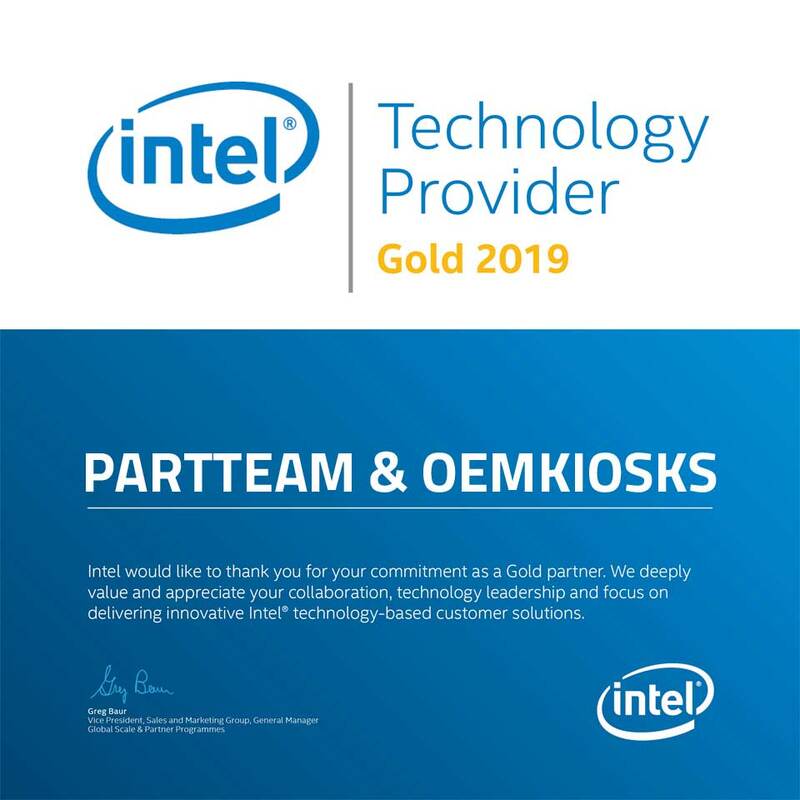 PARTTEAM & OEMKIOSKS is pleased to receive the INTEL - Technology Provider Gold 2019 certificate. This recognition of the multinational INTEL, distinguishes the companies of the technological sector, as suppliers of technology of last generation of the brand INTEL. This ensures that distinguished companies, provide the latest technology developments of INTEL technology and certified for their outstanding performance and quality. As manufacturers of multimedia kiosks and digital billboards, PARTTEAM & OEMKIOSKS seeks to ensure the installation of the best components on the market. INTEL produces not only the best processors but many other components that stand out for their reliability and cutting-edge technology. Key elements in all PARTTEAM & OEMKIOSKS products and services, as a leading and constantly developing company in the international market.